The Week Leading up to… Sunday, November 10, 2013. Sing praises to our God, sing praises. Verse: Clap your hands, all you nations. All of these Apostles were among the Seventy, and all are mentioned by St Paul in Romans 16. Saints Olympas and Rodion followed St Peter to Rome and were beheaded under Nero around the year 54. The other three reposed in peace after serving the Church as bishops: St Sosipater as Bishop of Iconium; St Erastus (described by St Paul as city treasurer of Corinth) as Bishop of Paneas (Caesarea Philippi); St Quartus as Bishop of Beirut. Quartus is said to have converted most of the citizens of Beirut to faith in Christ before his repose. “He concealed his holiness as much as he could beneath a rough and sharp-tempered exterior. If anyone expressed admiration for him, he would reply “So you think I’m a saint? I’m only a sinner worse than you. Don’t you see that I even lose my temper? The miracles you see are done by Christ. 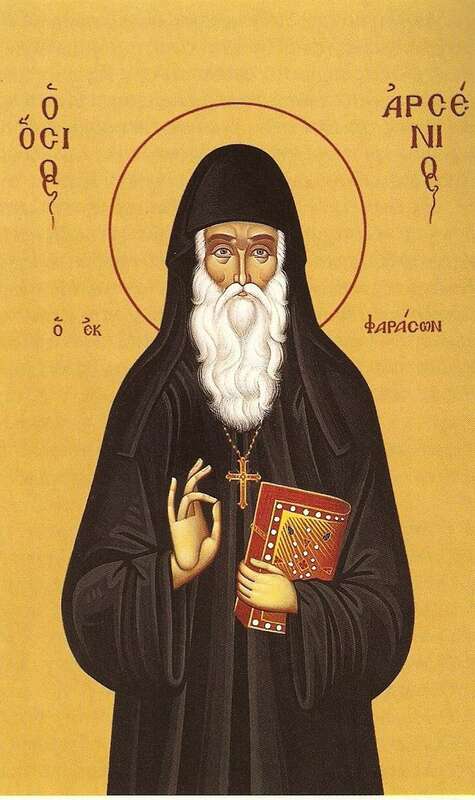 I do no more than lift up my hands and pray to him.” But as the Scriptures say, the prayers of a righteous man avail much, and when St Arsenios lifted up his hands, wonders often followed. “He lived in a small cell with an earthen floor, fasted often and was in the habit of shutting himself in his cell for at least two whole days every week to devote himself entirely to prayer. The primary source for the life of St Arsenios is Saint Arsenios the Cappadocian, compiled by Elder Païsios of the Holy Mountain, who was baptized as an infant by the Saint. The Week Leading up to… Sunday, November 17, 2013.